In different aspects of life - religion, language, food, culture and festivals - India shows a "unity in diversity". 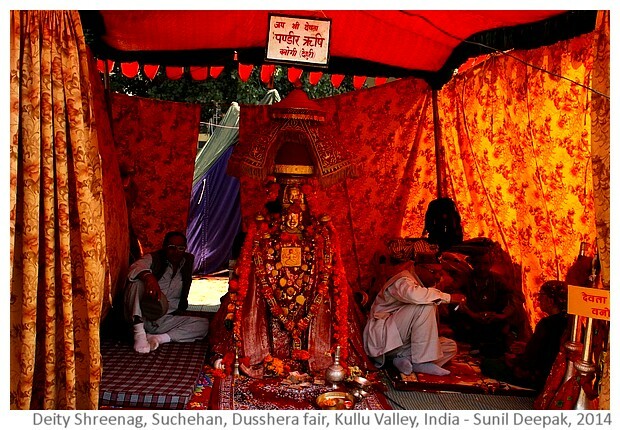 In the Kullu Valley in Himachal Pradesh in north of India, every village and hamlet has its own deity, a devi or a devta. This photo-essay looks at some of those deities, their cultural traditions and their links with other streams of Hinduism. Each community in India often has its own ideas about gods and goddesses. All these are usually grouped together under Hinduism. Apart from their own distinctive cultural-religious traditions, they usually share some aspects of religion as explained in ancient texts of Vedas and Upanishads. Mythological stories about some local events link together villages and cities, near and far, in different corners of India. Thus, often each village temple and sacred-site around trees, rocks, caves, rivers and mountains, invariably has a mythological story about the passage of some god or goddess in that place that provides an explanation of its sacredness. Drops of immortality nectar (amrit) fallen from Vishnu's vase, pieces of the body of Parvati strewn over different parts of India, travels of Rama and Pandavas across India described in Ramayana and Mahabharata - they all create a network of stories that builds the essential sharing of sacredness, while conserving the distinctive characteristics of each place. Diana Eck in her wonderful book "India: a sacred geography" provides a delightful mosaic of this diversity-unity. It has been estimated that there are around 250 devi and devta (gods and goddesses) in the villages and hamlets of Kullu valley in Himchal Pradesh. Local persons call these deities collectively as "Tharah Kardu". 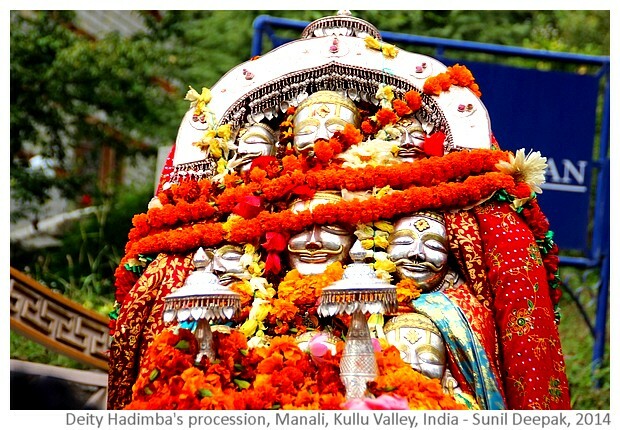 Hidamba Devi, the deity of Manali, is considered to be the most important of these deities as she is the deity of the royal family of the Kullu. 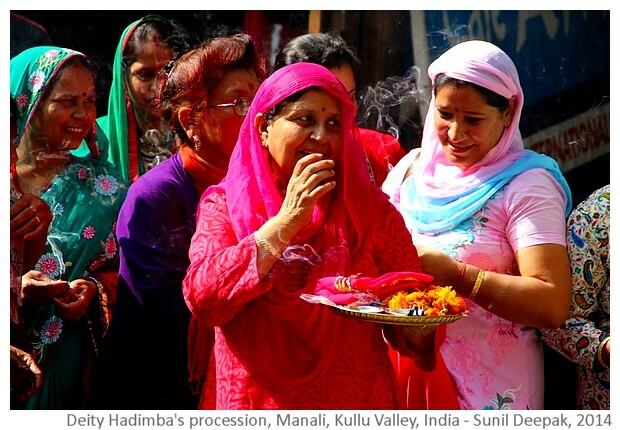 The royal family of Kullu believe that Hidamba Devi had gifted the kingdom of Kullu to their ancestor Behangamani Pal. 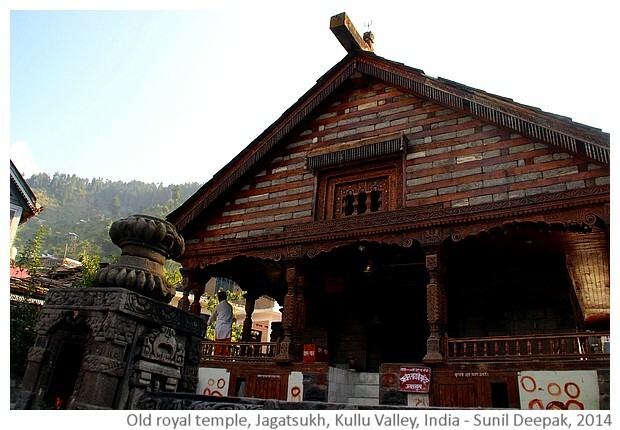 The descendants of the king had established their royal house in Jagatsukh, a small village about 10 km from Manali. The original temple of Hidamba Devi was in Chiuni, about 90 km from the town of Mandi. 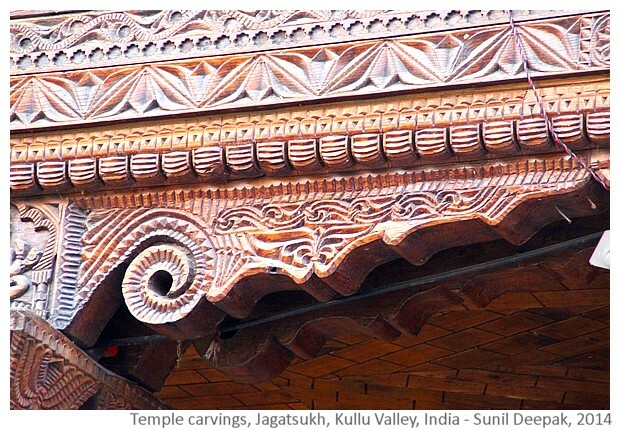 A new temple of this deity has been built in Manali in 2013, that is a replica of the old Chiuni temple with intricate wood carvings. Hidamba Devi appears as a minor character in Mahabharata, where she falls in love with Bhim, one of the Pandava brothers. Together they have a son, Ghatotkach. Both Hidamba Devi and Ghatotkach also play a role in the legendary war between the Pandavas and the Kauravas. Mahabharata describes Hidamba (Hidambi) as belonging to a "Rakshas" clan - one of the indigenous clans that were usually considered as enemies of the Aryans. Omchanda Handa in his book "Buddhist art and antiquities of Himachal Pradesh" (Indus books) explains that the figures of ancient Hindu ascetic-sages like Gautam rishi and Lomasa rishi were also linked to Buddhist traditions, and indigenous community traditions of clans like Nagas, Rakshasas, Yakshas, etc. 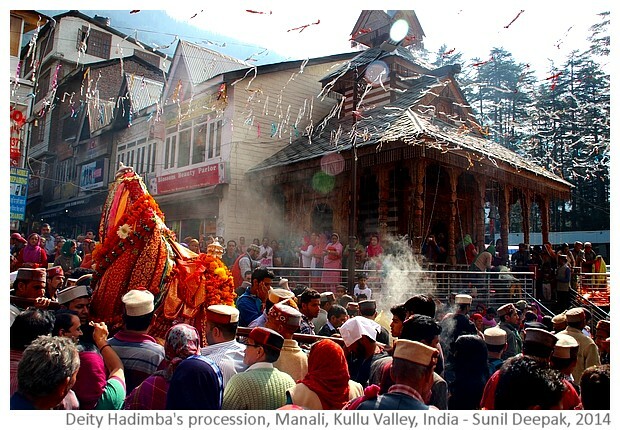 These different traditions all combine together in the mythologies of the Kullu deities. Phyllis Granoff and Koichi Shinohara in their book "Images in Asian Religions: texts and contexts" (UBC press) explain another peculiarity of the Kullu valley deities - the sacredness is not limited to the statue of the deity but is "composed of different elements assembled together" including the wooden palanquins carrying multiple metal mohras (faces) of the deity, his/her attendants and other things used to decorate the palanquins. 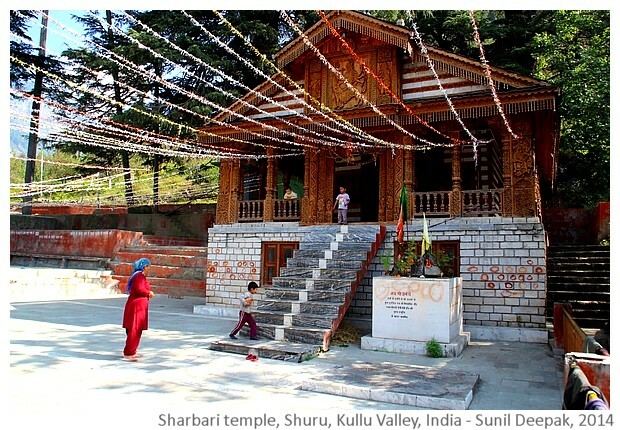 The blog Tharah Kardu presents a lot of information about the deities of the Kullu valley, including the mythological stories about them. Reading these stories gives an idea of the diversity of origins of these deities. For example, god Shangchul ji originally came from a place called Basu Desh. Shangchul's journey brought him in contact with different significant symbols of Hindu mythology such as Shakti and Kamdhenu. His story involves different small towns and villages of Kullu Valley, binding them together in a unified geographical matrix, linking his story to those of other local gods and goddesses. This story also includes episodes of discrimination and negative attitudes towards the "lower" castes and the "untouchables". For example, Shangchul had caused a flood which had washed away most of "Marechhas and Tanguls". Marechhas (lower castes) are described as "dirty persons with dirty utensils" and have a "bad way of calling their mothers", so their killing by the Shangchul are justified. Thus, these stories, while they maintain alive the ancient traditions of the people, they also contribute to continuation of caste hierarchies and discriminations. 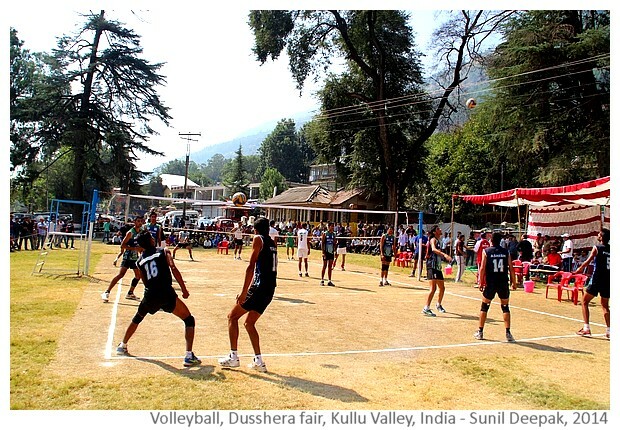 Dusshera is one of the most important festivals of the Kullu valley. 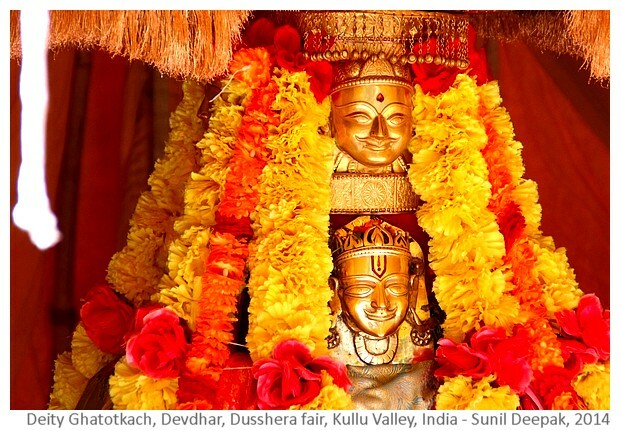 Dusshera is celebrated in different ways in different parts of India. For example, in the north and west parts of India, it celebrates the victory of Rama over the Rakshas king Ravana. 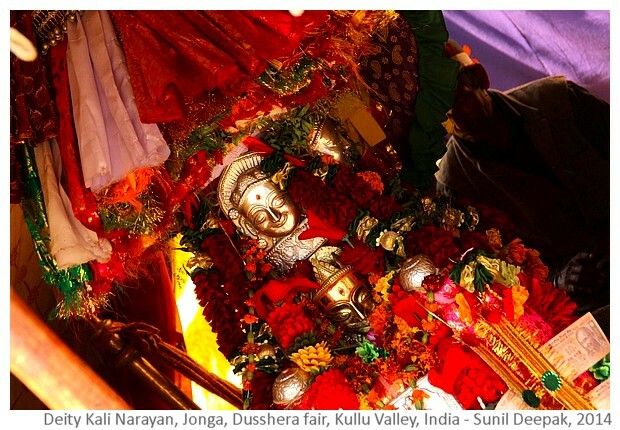 In the north-east it celebrates the victory of goddess Durga over the asura king Mahishasur. 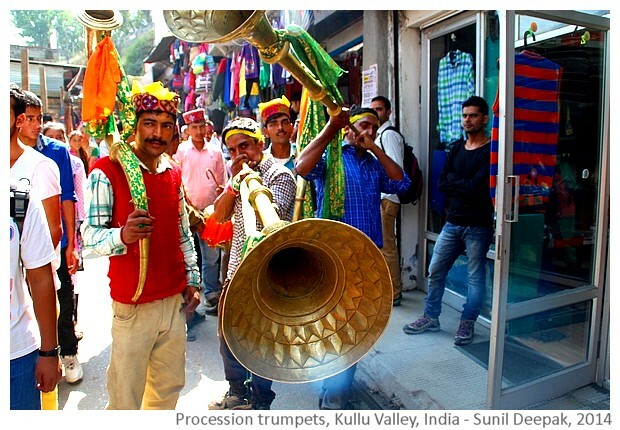 Kullu has its own variation of the Dusshera celebrations. 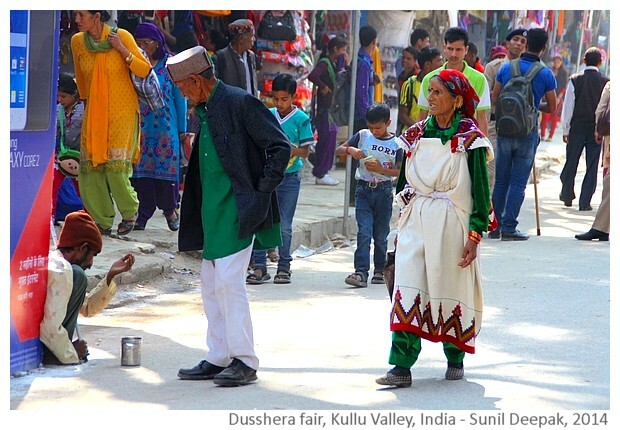 The Kullu dusshera starts on the day of Vijaydakshmi, the concluding day of dusshera celebrations in the rest of India. It's main focus is on the gathering of all the local gods and goddesses from all the villages and hamlets of Kullu valley. 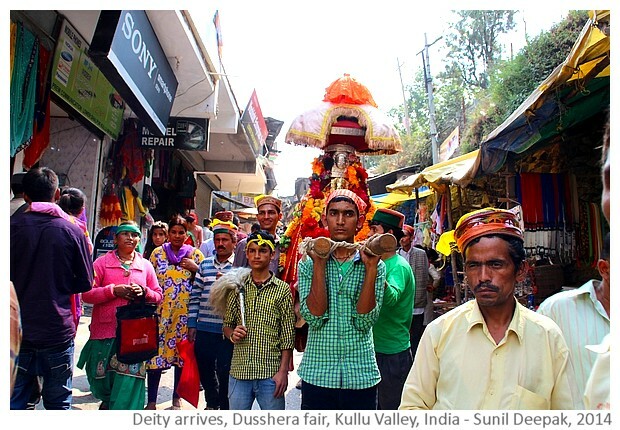 Villagers carry their gods-goddesses in palanquins and walk to Kullu for this event. 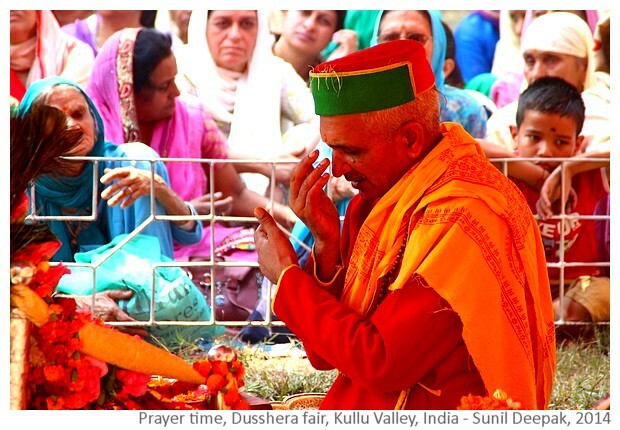 In Kullu, raja Maheshwar Singh, the old king, together with the head-priest of Kullu temple, participate in the daily ritual prayers, while different gods and goddesses come to pay their respects to Hidimba Devi. 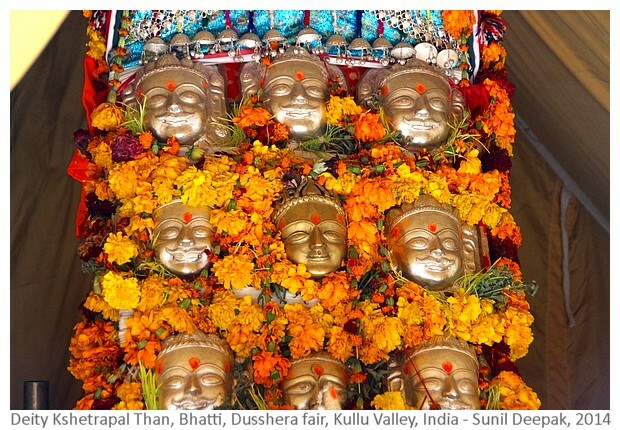 The Kullu deities are also linked to a mythological story - Parvati (God Shiva's wife), was carrying the gods and goddesses in a basket; she had stopped for rest in the Kullu valley when a sudden gust of wind had scattered the different deities all over the villages of the valley. 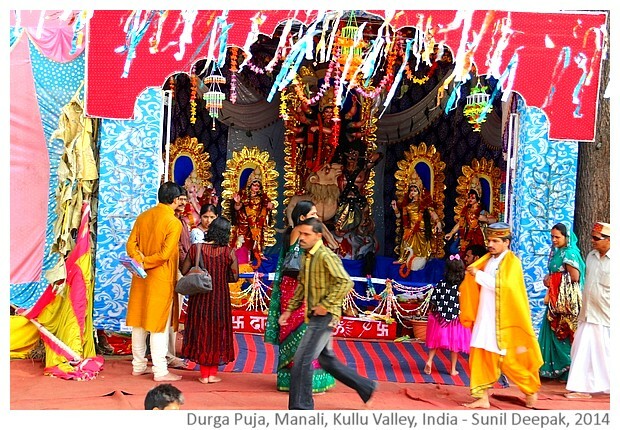 Kullu dusshera also has the traditional theatre of Ramlila and the burning of the effigy of Ravana. 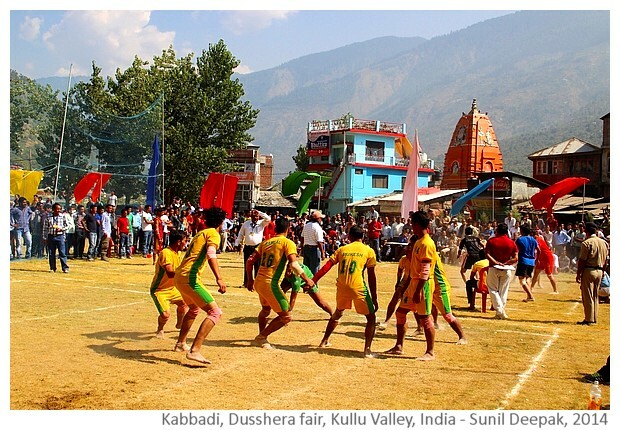 Finally the celebrations are accompanied by different sport competitions and cultural programmes in which young persons from different parts of the valley take part. 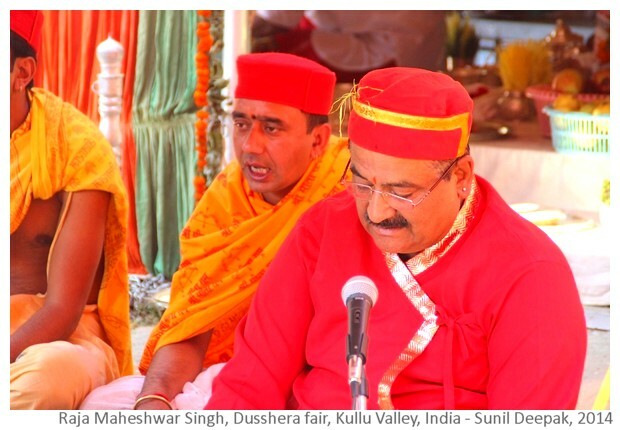 The cultural customs, rituals and mythological stories around the deities of Kullu valley, provide a fascinating glimpse into the diversity of Hinduism in India. They also give an idea of how different groups of people and their customs were brought together in Hinduism over a period of centuries, that preserved their specificities and peculiarities, while knitting a common thread of unity through them. The continuing relevance of ancient religious customs and mythologies today influences caste hierarchies and discriminations against the "lower" castes. How to bring about social reforms without cancelling the mythologies remains a challenge. Most persons think of Kullu and Manali only as tourist destinations for their snow covered mountains, rafting, skiing and nature walks. However, Kullu valley also offers wonderful opportunities to understand the richness of India's cultural diversity.